Proton Persona is finally getting a new redesign from group up. 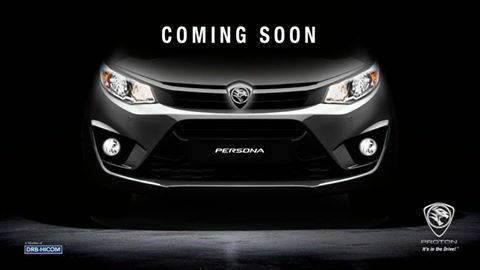 This new teaser image shared by Proton Officials means it is confirm that there will be all-new Proton Persona 2016 coming real soon. Proton Persona has been the market since 2007, it was based on the shorter version car model, Proton Gen-2. It is expected the New Proton Persona to be equipped with the Proton’s range of 1.3 litre and 1.6 litre VVT engines, with a five-speed manual or a CVT transmission. The design cue as seen is from the latest Proton cars design family, like Proton Iriz as well as the latest Proton Perdana. Will there be a turbo version as well ? Comment your thoughts below. 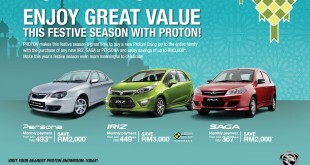 PROTON “Balik Kampung Raya” Promotions Is Now On!